Are you looking for a luxury car that’s in great condition but also affordable priced? 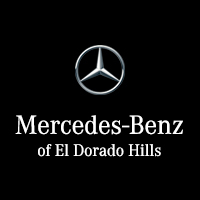 Take a look at the Mercedes-Benz CPO vehicles for sale at Mercedes-Benz of El Dorado Hills, a 20-minute drive from Gold River. Each of these vehicles comes with a one-year limited warranty with unlimited mileage, as well as 24-hour roadside assistance and a comprehensive inspection process, beating out the BMW CPO program and Lexus CPO program in a number of key areas. And these are just some of the benefits of buying a CPO vehicle that are available to you near Rancho Cordova! Find Your Next Luxury CPO Vehicle! We have dozens of certified pre-owned Mercedes-Benz vehicles for sale right now that you can narrow down via Online Shopper. Stop by our dealership to tour the lot, chat with our knowledgeable staff, and figure out the best financing plan for your budget. As part of Von Housen Auto Group, our dealership is the extension of a family-owned automotive tradition going back well over 60 years. You can count on us for all your luxury auto needs near Rancho Cordova, and you can reach out to us at (888) 411-4120.